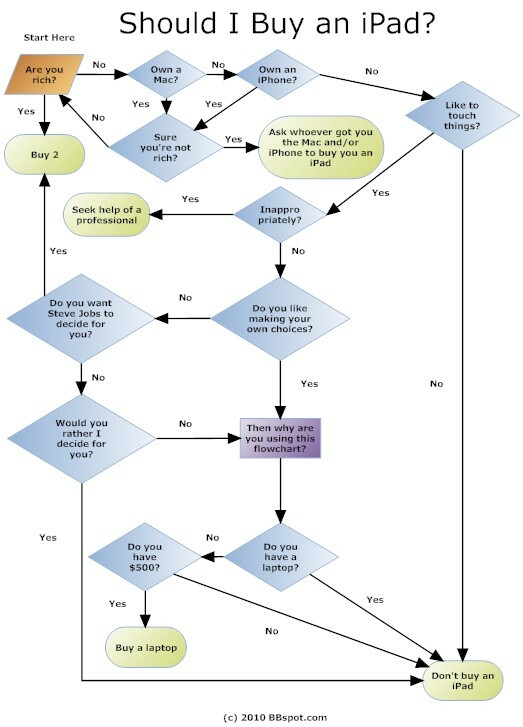 I don't normally post non-MMO stuff, but this flow chart cracked me up. Credits to BBspot. I'm not sure what is up with all the 'iPad hate'. Is Apple a censoring, controlling, hypocritical company? Hell yes! 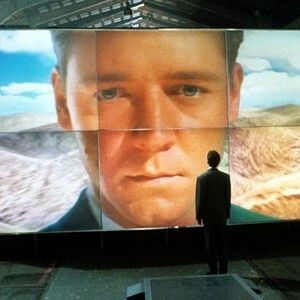 As far as the iPad itself is concerned, put me in the camp of 'this will change the world'. However it won't start changing things until the price can come down to around $100 or so. Give it a few years. I think the iPhone and the iPod (or more accurately iTunes) were great innovations at the time. Today, iTunes is still fine now that it's DRM free, but there are better alternatives (for the price) than both the iPhone and iPod. The problem with the iPad is that it's not that great a product when compared to alternatives. Particularly at the price point. I'm sure as a product it's fun and neat, but it's not innovative and unique like the iPhone was at release. So it's just cashing in on the popularity of the older products to support the higher price point.